At Omene Family and Cosmetic Dentistry, we are pleased to offer a complete facial treatment for our patients. In addition to helping you get the smile you want, Dr. Guila Omene can help you regain a more youthful, radiant appearance. Our dentist has received advanced training in facial aesthetics to provide you with various treatments that increase your confidence in and love for yourself. Please contact us today to learn more about treatments for facial aesthetics in Paoli, Pennsylvania, we invite you to contact us at 610-644-5547 and schedule an appointment today. Facial aesthetics involves treating different areas of your face in addition to your smile. At our practice, we are pleased to offer facial aesthetics because we understand that your smile is only part of the appearance you want to have. 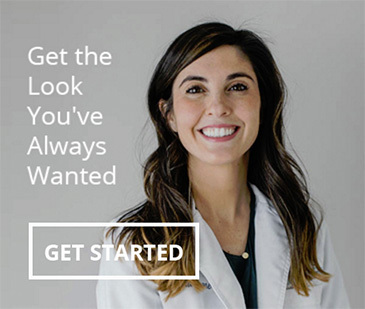 With cosmetic dentistry, we can help make your teeth exactly how you want them; with facial aesthetics, we can make everything around your smile look great, too. In many cases, facial aesthetics involves the use of BOTOX® or other dermal filler treatments. This means that you can receive a complete facial treatment to support and enhance the beauty of your smile. With Botox and dermal filler, our dentist can target areas of your face that are less firm and rejuvenate your skin to appear firmer, healthier, and younger. Some of the most commonly targeted areas include the forehead, lips, cheeks, and specific wrinkles. To perform facial aesthetic procedures, dentists need to receive specific training. In this training, dentists gain an understanding of how the treatment products work and how to give proper injections. Most injections can last anywhere between 6 to 18 months, depending on the type of treatment you receive. If you would like to know more about facial aesthetics and our various treatment options, we invite you to call or visit our office today.